Business Review has launched a new campaign called #makeithappen. 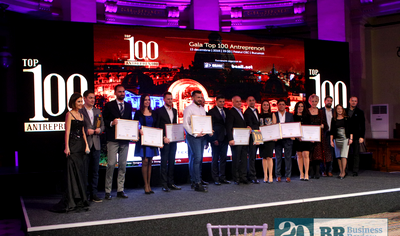 Every day, for a month, we will present 30 inspirational entrepreneurial stories of Romanians who turned passion, hobbies and knowledge into successful businesses. We will present the stories of entrepreneurial initiatives of all sizes in all economical fields, underlining the diversity and creativity of the local business environment. By starting this campaign, Business Review is strengthening its commitment to be the go-to source for inspiring stories of Romanian entrepreneurship. 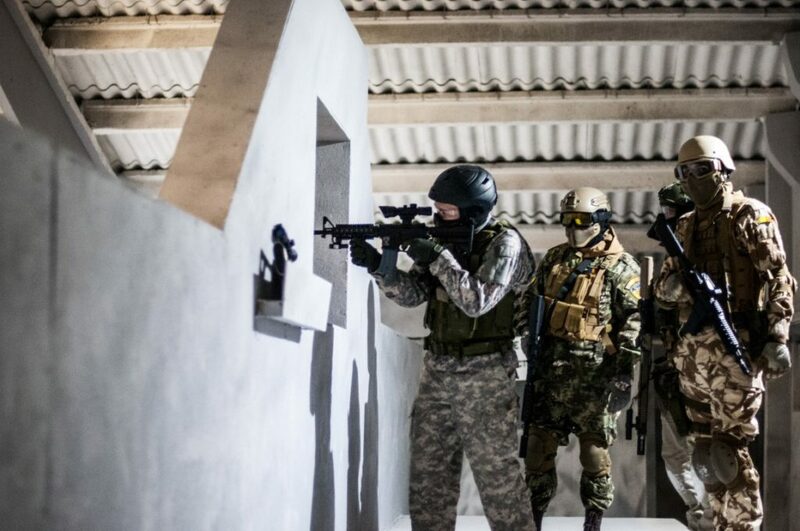 Today’s story is about Vlad Zamfir, the founder of FySnow AirsoftCS Arena, the first airsoft arena in the world to offer players a map from the video game Counter-Strike in real life. This is Vlad Zamfir’s second business, who went into entrepreneurship when he was 17. His desire to transform his childhood passion into a business and bring new experiences to Romanian consumers is what inspired us to tell his story. Vlad, 27, is a high school graduate who started his own company 10 years ago, supplying spying and counter-spying technical equipment. This business is still operational and two years ago he decided to start a new project and thought about the airsoft industry. “Since I was little I was fascinated by the potential of a business, in any field. If I was playing a game, I was thinking how that activity can generate money. When I was 12 I invested money in four school chalk boxes, I drew a tennis court in front of the apartment block and made some posters announcing the new play location. In this way I was also able to make a football court. It was the same case for airsoft. I attended several games and because I was a fan of Counter-Strike, I dreamt of playing this game on a real map. Next, I realized that the idea has potential and made it a reality. It’s simple,” says Vlad. The total investment in the indoor arena that covers 1,500 square meters stood at EUR 100,000 and the turnover of the company is set to exceed EUR 100,000 soon. It is located near Bucharest, in Glina. 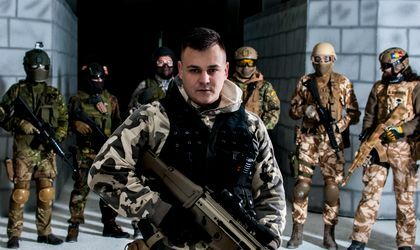 He says that the airsoft industry in Romania is still in the early stages, so while you grow the business you also support the growth of the overall market and educate the consumers. 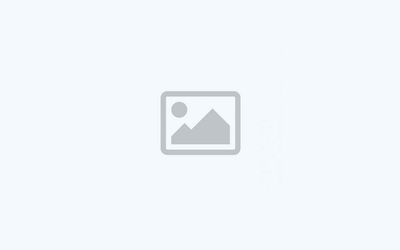 “Many people said that my project would not last more than 3 months. It was hard for me to remain confident in the project because every day I was bombarded by dozens of negative messages. But the success recorded from the first day gave me strength and made me believe in my dream. Since opening the arena the results have been above expectations – I could not keep up with the appointments during the work hours and there were groups that were ready to play even during the night,” he says. 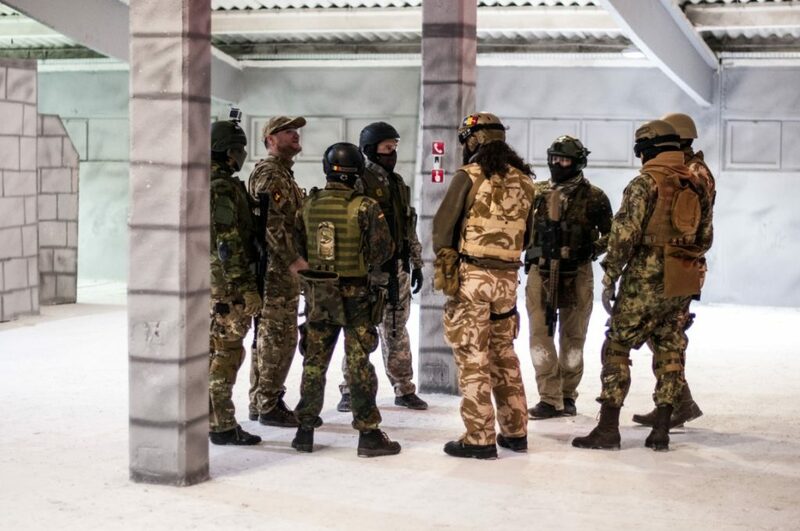 Vlad has both individual and corporate customers who seek the airsoft experience to relax, communicate, build teams and control emotions. Prices for one hour in the game start from RON 50 – with equipment provided by the company. Coming back to the market education aspect, the entrepreneur says that are still many people confusing airsoft with paintball or laser tag. 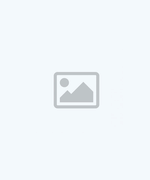 Airsoft is a sports game in which players simulate a conflict or perform certain missions with the help of real weapon replicas, using specific equipment and real military tactics, he explains. On the commercial and events side, Romania already has players providing quality equipment and services and passion is key for all the players in this business. 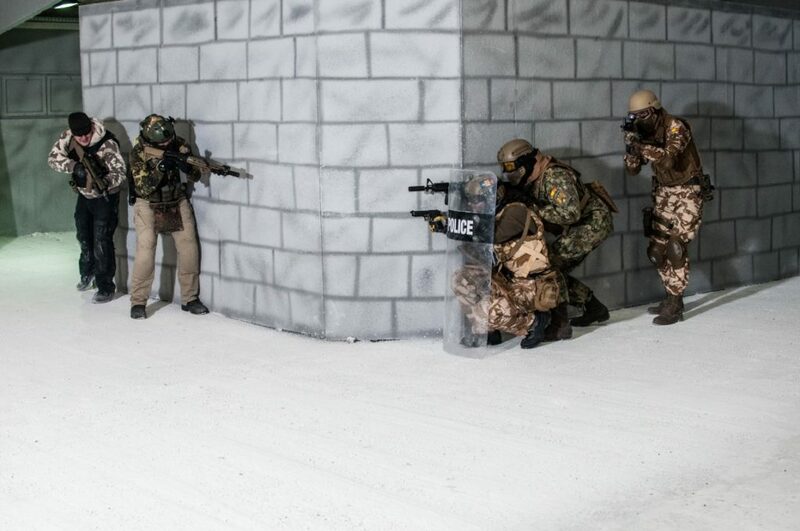 Vlad says that airsoft will gain popularity among individuals because it is a sport that helps you put all your worries behind. “Many players find themselves in these words: ‘I remained the same, I only changed the toys’,” said the business owner. Finding the right location and the best name for the company also proved to be a challenge. Vlad says that started thinking about this arena six areas ago and then his uncle had promised him a land in Glina for his investment. He started to build the business plan and when it was time to get the land, his uncle had changed his mind, so Vlad had to abandon his business endeavor. He looked for other locations but returned to Glina after getting a good offer that was pretty much like what he had in mind. “I visited it and carried a sheet of paper with the project drawn on it, and when I began to measure the space, I saw that it fit 1:1. I realized I was not allowed to hold back, and today I know it was the right decision. Everything is made to come when it’s right and how it has to be,” he says. The name of the arena also signals to customers what they should expect. It is made of Airsoft and the name of the game Counter-Strike, plus the name of a map in the game (fy_snow). The entrepreneur remains on a positive note and says that you can do anything, and you only need to see things from your perspective and do only things that make you happy.